Brand new dress with the tags on, never worn, no alterations done. Beautiful all lace strapless dress with a small train. I bought 2 dresses and never ended up wearing this one. 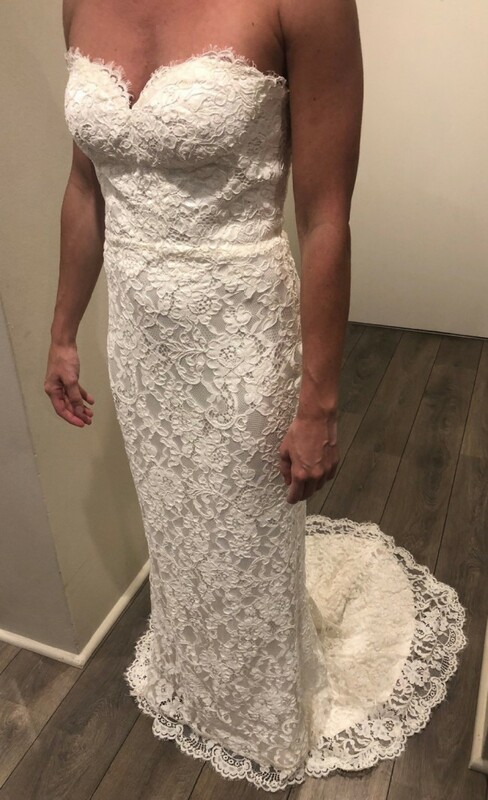 Hoping this dress can make someone's dream wedding come true! Contact me for more details or photos. Once you send a message, Michele can invite you to purchase the dress.